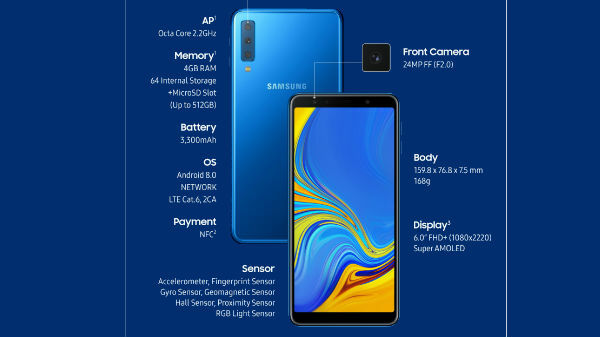 Samsung launches Galaxy A7 (2018) with the triple rear camera, super AMOLED Infinity display and more. 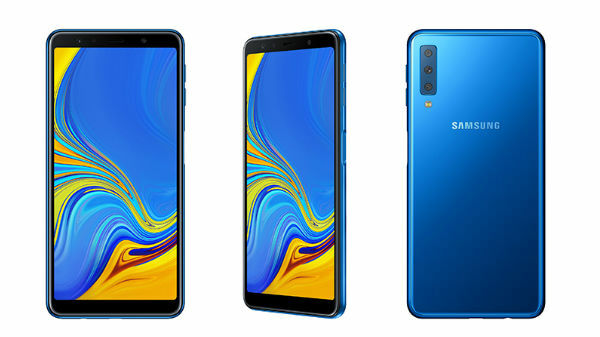 Samsung has finally launched its Galaxy A7 which is widely known with its codename SM-A750F. 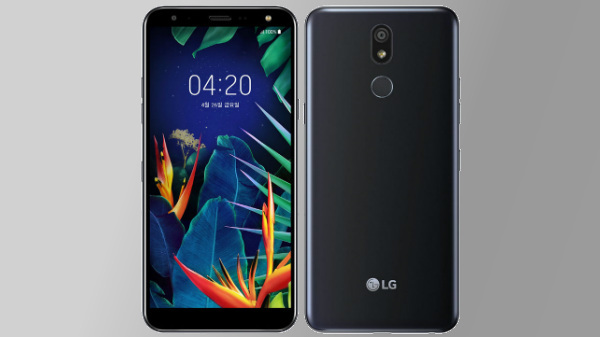 This is the company's latest mid-range smartphone, last week the press images of the smartphone were also surfaced on the web. The key highlights of the smartphone are its triple rear cameras with 120-degree wide lens. 4GB of RAM with 64GB / 128GB onboard storage, and 6GB of RAM with 128GB storage. If that is not enough then you can expand the storage up to 512GB via micro SD card. 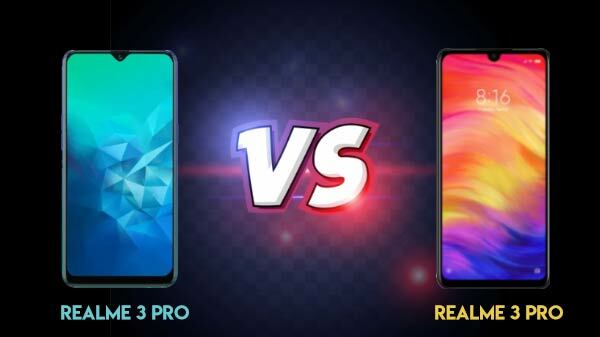 On the optical front, the Galaxy A7 sports a triple rear cameras, the main camera comes with a 24-megapixel sensor with f/1.7 aperture, the secondary camera sports an 8-megapixel sensor with 120° Ultra Wide Lens for wide-angle photos and the third 5-megapixel camera to capture depth information for portrait shots. On the front, the smartphone houses a 24MP camera sensor with f/2.0 aperture for selfies and video calls. The front camera also features an adjustable LED flash, Selfie Focus, Pro Lighting Mode and AR emoji. The most interesting part of the smartphone is its fingerprint scanner, which neither placed on the rear panel nor under the display. The company has placed the fingerprint scanner on the side of the phone. The smartphone also comes with Dolby Atmos. On the connectivity part, the smartphone offers, 4G VoLTE, Wi-Fi 802.11ac (2.4/5GHz), VHT80, Bluetooth v5, GPS + GLONASS, NFC (Optional). The dimensions of the phone are 159.8 x 76.8 x 7.5 mm and it weighs around 168 grams. The Galaxy A7 is fueled by a 3300mAh battery with adaptive fast charging. It runs on Android 8.0 Oreo. The smartphone will come in blue, black, gold and pink color options. The Galaxy A7 comes with a starting price of €349 ($ 407 / Rs 29,385 approx). 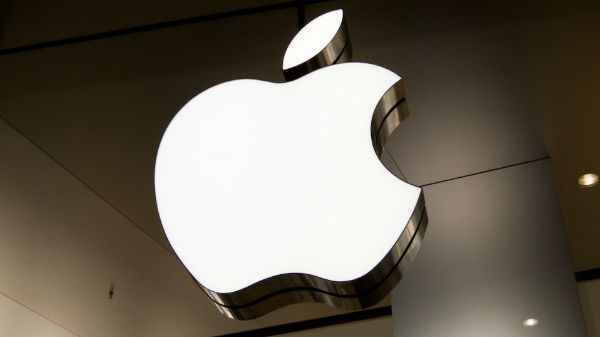 The smartphone will be up for sale in select European and Asian markets starting from October. The support page for the phone is already live so we can expect the device soon in India.